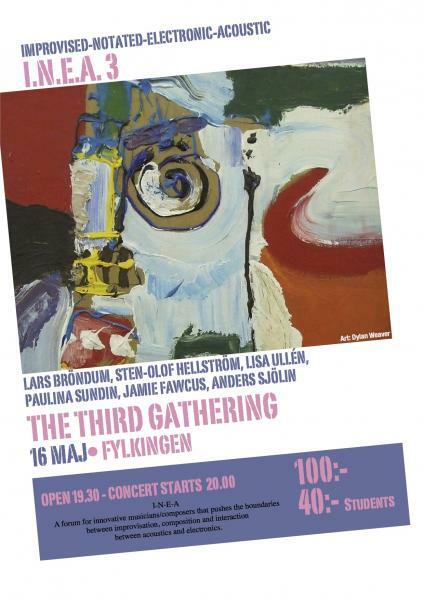 INEA concert Fylkingen 2014-05-16 May 10, 2014playing together with Lars Bröndum, Lisa Ullén and others at fylkingen next week! Moscow Quartet February 17, 2014New music for August this year – I will be running a composition workshop with the superb Moscow Quartet, experimental and newly written pieces for Balalaika, Domra, Gusli and Piano. More details when I have them. Dance, ritual and electronic music February 17, 2014 Resonant Spaces project with dancer and choreographer Ulrika Wedin well under way. premiere in Bollnäs, Hälsingland here in Sweden in october as part of the “Bollnäs dansar” festival. Surround sound, infrasonics, light, smoke and mirrors………. tomorrow (2012-11-13) November 12, 2012tomorrow (2012-11-13) giving a presentation about what i do and a short concert for “ljudkultur” students at Norrköping (linnköping university) – looking forward to it.